ATCO, NEW JERSEY (October 30, 2018) – In an effort to help support another nonprofit serving young children from birth to five years old, Archway Programs opens its doors to 1000 Books Before Kindergarten (1KBB4K), a nonprofit which provides a nationwide early literacy program to thousands of children. This new pilot program will launch its first satellite location at Archway Programs’ location in Washington Township, New Jersey. The new program will be dubbed “1000 Books Reading Nook” and will open its doors for the local community prior to officially opening for a special celebration. Staff from both organizations will celebrate alongside the local community at an open house on Friday, November 2nd, 2018 from 10 a.m. until 12 p.m. noon. The event will feature complimentary children’s books, parent information packets and a tour of the 1000 Books Reading Nook. The 1000 Books Reading Nook is located at 1 Neptune Drive in Sewell, New Jersey. Sponsors for the new pilot program include Lowe’s, Target, TG Designs, the 1000 Books Foundation and Archway Programs. LOWE’S volunteers include: Kevin DeVillava, Kyle Morrison, Rich Primavera, Jessica Cage, Sean Williams, Lori Weatherill, Jenn Harding, Hunter Banff, John Sacca and Paula Lonney. The volunteers worked together on the construction, the design and the delivery. The 1000 Books Foundation through its flagship 1000 Books Before Kindergarten program donated books and activity journals for the 1000 Books Reading Nook. The 1000 Books Before Kindergarten program is a nationwide initiative, with a simple concept. The goals are to promote reading readiness for kids entering kindergarten, instill a lifelong love of reading and encourage parent and child bonding. The 1000 Books Reading Nook will feature reading parties with allotted time slots for volunteers and/or interns. A Typical Reading Party will last about an hour and a half, where volunteers will provide a brief tour and assist our guest, with picking out one or two books that spark their interest. Then everyone will gather for circle time, participate in a group activity, and volunteers will present each child with their very own goodie bag, and provide a snack and beverage before boarding the buses to go back to their destination. Each goodie bag contains a complimentary age appropriate book, information on the 1000 Books Before Kindergarten program and how to enroll, a contact card for their local library so they can sign up for their first library card and parental information detailing the importance of early literacy. Transportation will be provided by early childcare centers and other community agencies. “We are very excited to be opening the very first 1000 Books Reading Nook. We hope that all the parents and caregivers of Southern, New Jersey will find it a place where children will explore, cultivate their love of books, and dream the impossible,” said Diane Lee, Executive Director of the 1000 Books Foundation. Archway Programs has been serving the needs of young children, teens, families, adolescents and adults throughout various educational programs and services for over fifty years. 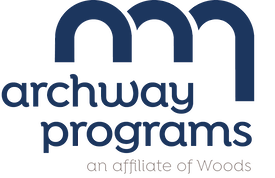 The mission of Archway Programs is to offer an array of unmatched services committed to excellence, designed to meet the individualized needs of children and adults throughout New Jersey, dedicated to improving the life of each individual served. Archway Programs understands how vital it is to provide educational programs and services to children at a young age. When Archway Programs heard about the opportunity to help support the 1000 Books Reading Nook, they were eager to help another nonprofit, launching its first satellite location for the early literacy program in South Jersey. 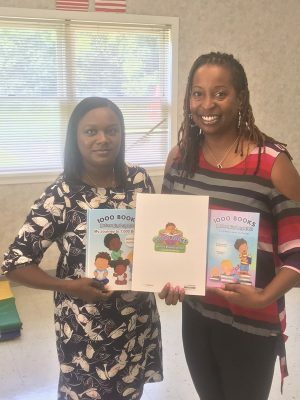 Stacey Edwards, Early Intervention Program and Therapeutic In-Home Services Director at Archway Programs and Jerrice Moore, 1000 Books Before Kindergarten’s Community Director initially spoke about this vision in early 2018. Both women connected at a New Jersey Early Intervention System meeting, while Mrs. Moore served as Manager of Family Support servicing children and families with disabilities and delays throughout southern New Jersey. “Archway Programs is thrilled to be able to collaborate with another program that shares similar goals as we do – supporting educational programs to help children and families throughout our community,” stated Stacey Edwards, Early Intervention Program and Therapeutic In-Home Services Director at Archway Programs. The 1000 Books Reading Nook is designed for children between the ages of birth to five years old. This age group may have developmental delays or disabilities, receive services from the Division of Child Protection and Permanency (DCPP), receive free or reduced lunch (low income) or any child of a parent who is incarcerated. “While I recognize the importance of early literacy at such a vital time in all children’s lives, my goal was to provide a safe and judgement free zone specifically for children who fit certain demographics and characteristics. Many of these children don’t have access to books. Thanks to Archway Programs, the 1000 Books Reading Nook provides a place for young children to explore and begins their love of reading. This is the first community initiative in Gloucester County where the 1000 Books Foundation, reading specialists and volunteers will partner and establish a direct connection with children in this community. This is such an exciting time. We truly believe we can change lives one book at a time,” stated Jerrice Moore, Community Director at 1000 Books Before Kindergarten. “The partnership with Archway Programs is the start of the 1000 Books Foundation’s vision to ultimately grow this program on a national level. This marks the beginning of our community grassroots movement aligned with another nonprofit sharing similar principles,” Moore added. An RSVP is required to attend the open house on Friday, November 2nd, 2018. Please RSVP no later than Wednesday, October 31st, 2018. To RSVP, please call or email the 1000 Books Before Kindergarten’s Community Director Jerrice Moore via phone at 856.362.4969 or via email at Jerrice@1000booksfoundation.org. For more information on Archway Programs, visit www.archwayprograms.org.